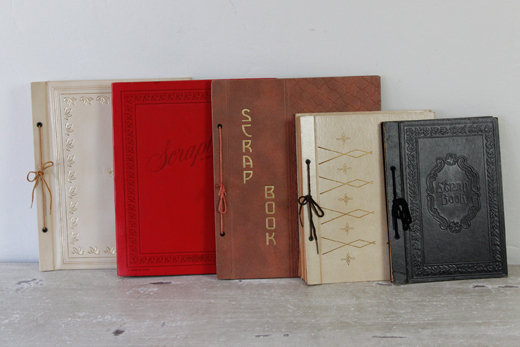 I wanted to share some of the fun items we have in the brick and mortar shop that you can't find in our online boutique. If you live far away and see something you like, just send us an email (info@salvagelife.com) and we can provide a price and shipping quote. We are open every Thursday from 2-7pm or by appointment. Click on the "contact" page above for location and phone number. 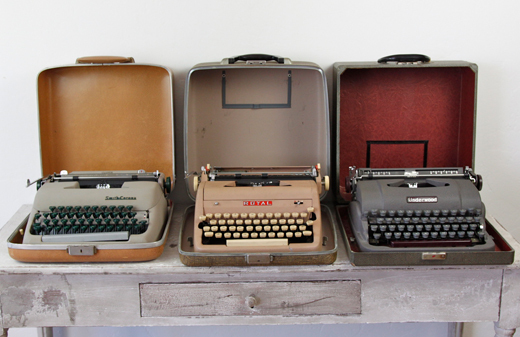 Working typewriters in their original cases. 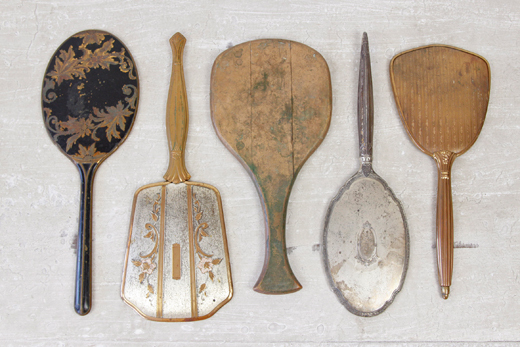 Pretty & tarnished antique hand mirrors. 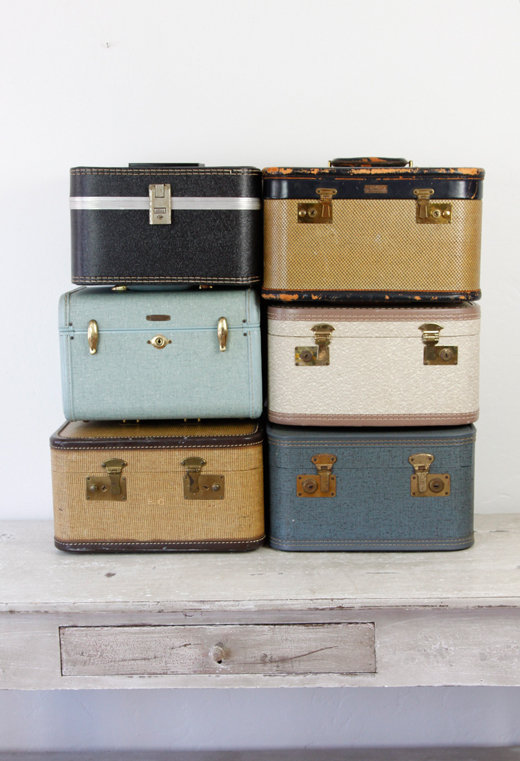 Travel trunks in every color. 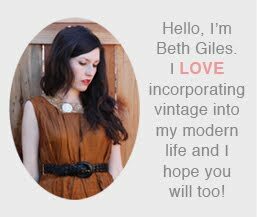 Absolutely love the old typewriters. There is something so pleasing about the clackety-clack sound.